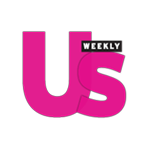 Custo Dalmau Celebrates His Boat Design and Talks With OJ&B! Designer Custo Dalmau held a celebration at his SoHo boutique, Custo Barcelona, on Wednesday, March 30, 2010 along with the beer of Barcelona, Estrella Damm. 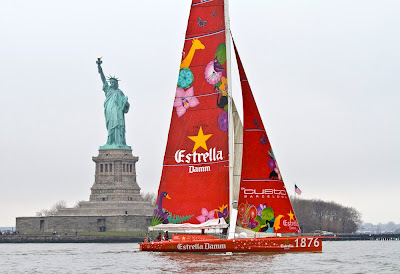 The celebration was in honor of Custo's design for the Estrella Damm boat that will be used in the establishment of the first sailing world record between New York and Barcelona. Above: Guest celebrating the Custo's Estrella Damm boat design at his Soho Boutique. Custo designed the visual design that will be used on the Estrella Damm boat as it tries to set the NY-BCN Transoceanic Sailing Record. During the event I had the chance to sit and speak with Custo about the project. "We accepted this project because it is one of the biggest project we have ever done besides last summer when we designed two planes," Custo told OJ&B, "Also because Estrella Damm one of the oldest beers in Spain." Custo then went on to speak about the design of the sail. "We decided to apply a graphic on the sail regarding biodiversity so people can think about supporting life on the planet." The boat design certainly goes well with Custos cheerful and vivid clothing line. Also on hand for the event were the two crew members of the Estrella Damm boat. They were very excited about the race and were hopeful that they would set the NY-BCN Transoceanic Sailing Record. This Saturday, April 3rd, Custo and the Estrella Damm crew will have an in-shore regatta at the North Cove Marina. Both boats that will be racing to set the NY-BCN Transoceanic Sailing Record will be racing in the harbor to practice for the big event. I am looking forward to the amazing weather and to my very first regatta! I so have to go out and by a fierce regatta watching hat! Congrats to Custo on the design of the Estrella Damm boat, and good luck to Pepe and Alex in the actual race to set the NY-BCN Transoceanic Sailing Record! Above: The Estrella Damm boat designed by Custo Dalmau. P.S. I will be sure to post about Saturday's regatta!